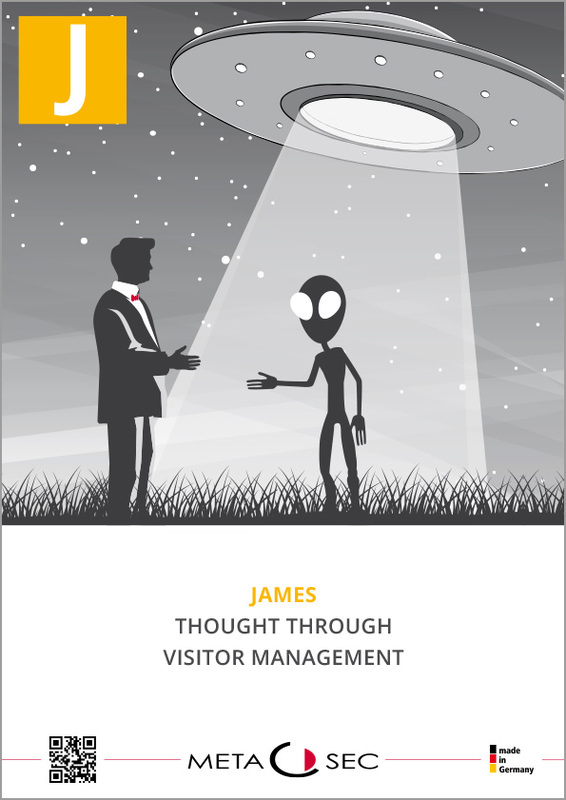 JAMES manage and coordinate all stages of the visitor management – from the invitation up to the checkout process. Moreover, JAMES coordinate your appointments, takes the house navigation and provides comprehensive security alarm or evacuation case . 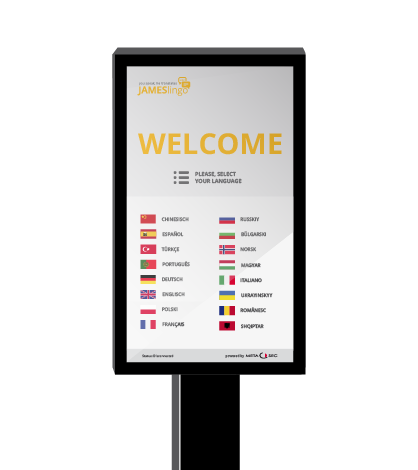 For more information, download the latest JAMES brochure! 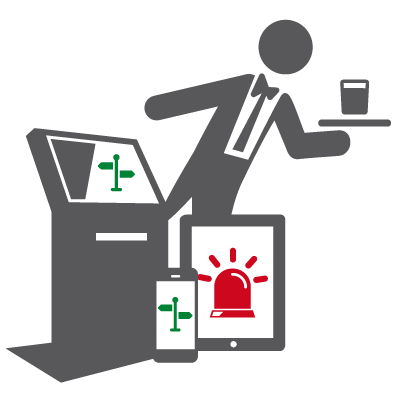 The efficient management and processing of visitor flows in companies and public organizations is becoming increasingly important. May it be the sheer volume of visitor traffic or the execution of certain procedures on arrival or departure. Furthermore guests, artisans or other types of visitors need access to your premises or resources such as Wi-Fi access or parking. 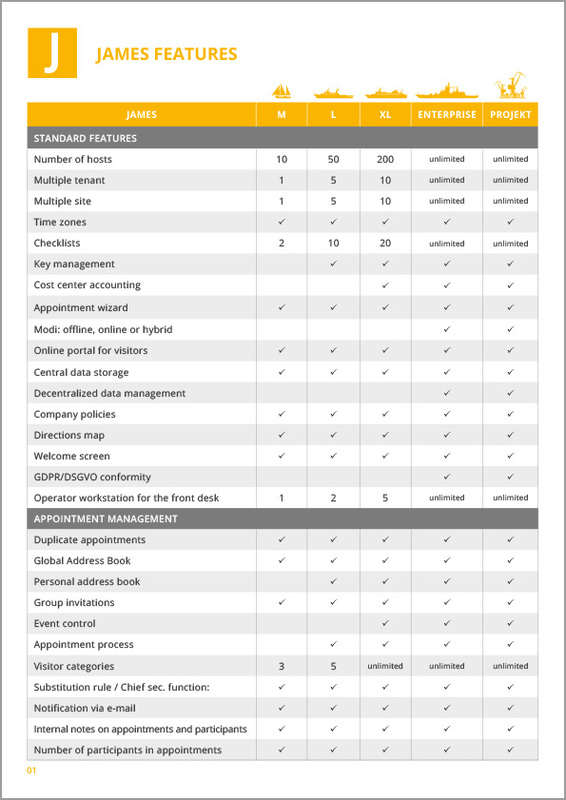 All of this can be covered very comfortable and centrally with our visitor management solution. Starting with simple invitations, up to complex location distributed flow streams of visitors – it can be managed. 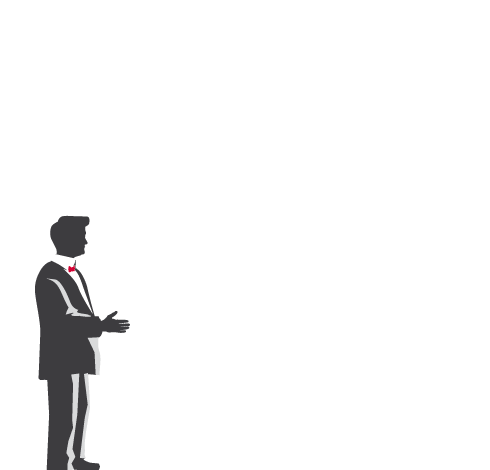 Via a simple web-based surface, appointments can be coordinated and required resources can be booked. 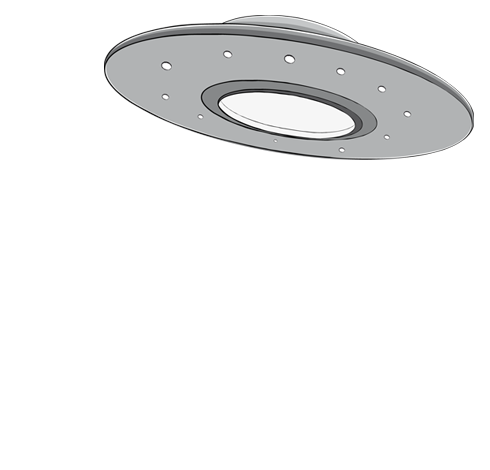 The visitor gets a friendly e-mail with a QR code and eventually needed documents annexed or further instructions in text form. 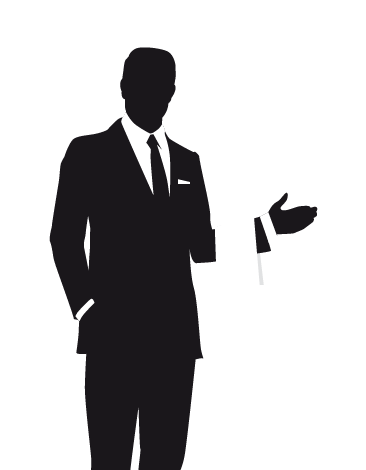 Upon arrival temporal processes can be optimized and a good impression is guaranteed. The visitor can also manage his appointments online, upload countersigned documents or watch training videos in advance and confirm invitations. You want to know more about JAMES and experience the possibilities of using? Explore our JAMES story to learn more about the processes such as the visitor, the house navigation and alarm and evacuation. Do you have any questions or looking for a specific solution? Write us via the contact a message.  We will contact you and advise you! Whith JAMES you invite contacts, exchange in advance important information and manage everything comfortably and safely. 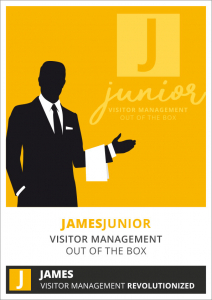 Make yourself a picture and try the opportunities of our ​​visitor management-systems JAMES! 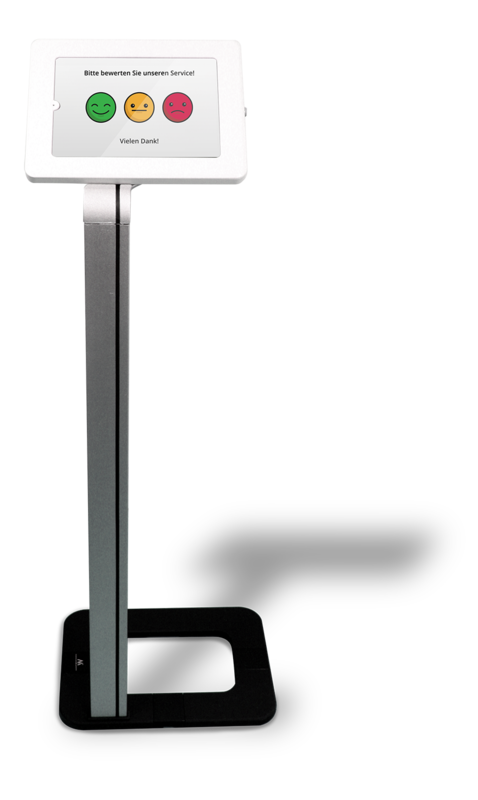 Allows visitors easy and separate check-in process already at the gate. 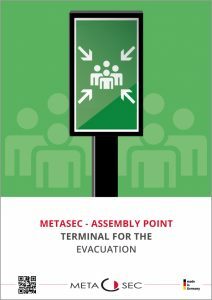 Navigates visitors safely and reliably through the building to the destination. JAMES speaks several foreign languages to the Babylonian confusion of languages to equalize. Of course we offer JAMES alongside the regular version as a White Label version. 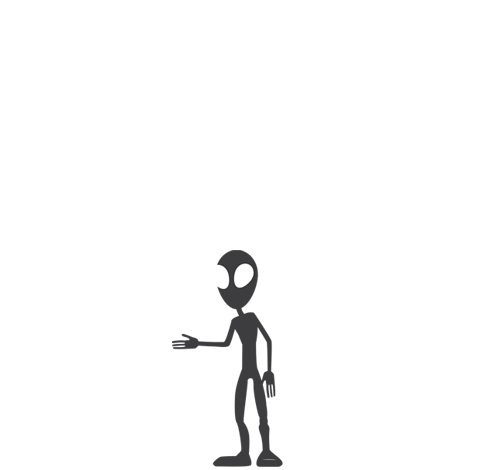 Here you have, for example, space for your company logo or other customizations. Download the brochure for our Visitor Management JAMES. 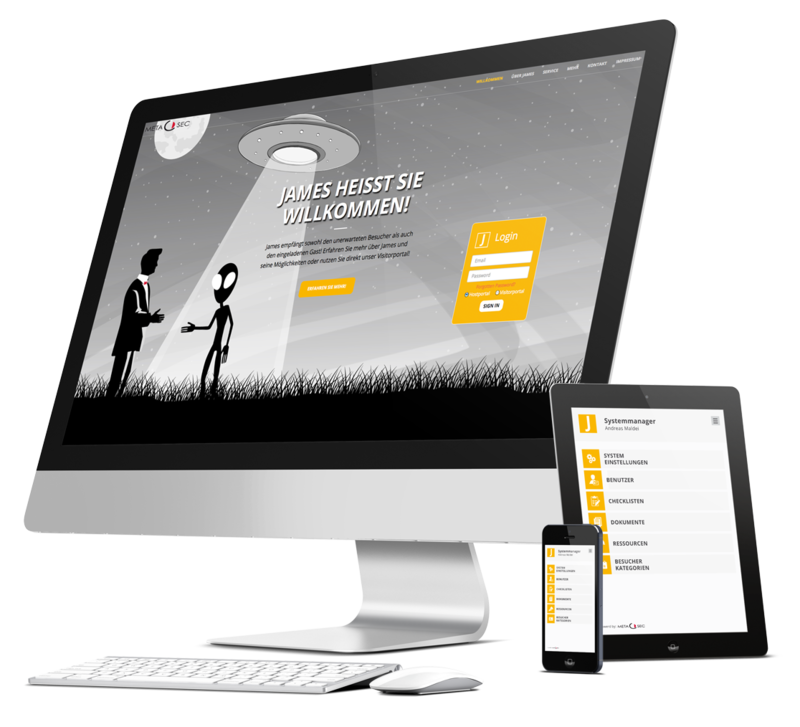 Here you will find all information about our visitor management software, from technical requirements to application options. 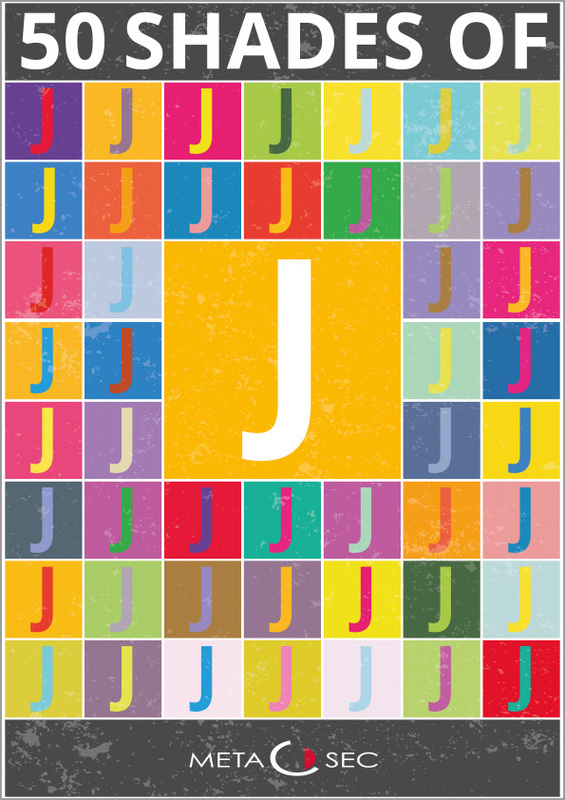 Download the »50 shades of J«. In this brochure you will find all the information about our »next generation« visitor management! 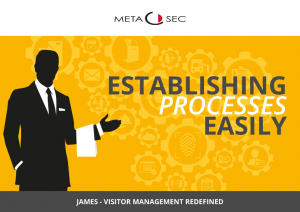 Get an overview of the numerous features of our visitor management system. 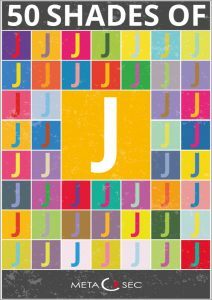 This booklet explains a variety of possible JAMES processes. These examples explain systematically and in the form of a timeline how processes can look like with JAMES. 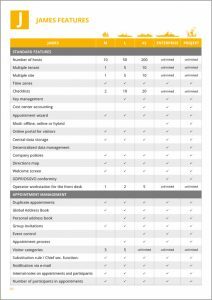 Download this brochure and use it as inspiration for your own processes or as a roadmap for your own visitor management. 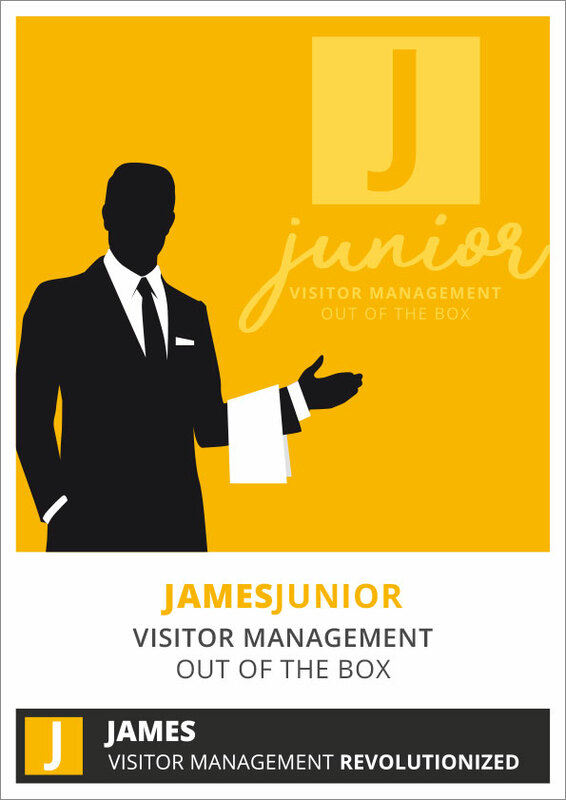 JAMESjunior is our »Out of the Box« solution for visitor management. Information can be found in this brochure. 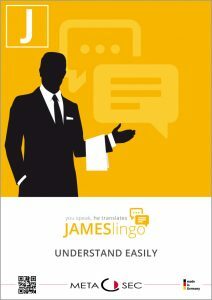 Download the brochure for the JAMES module JAMESlingo. 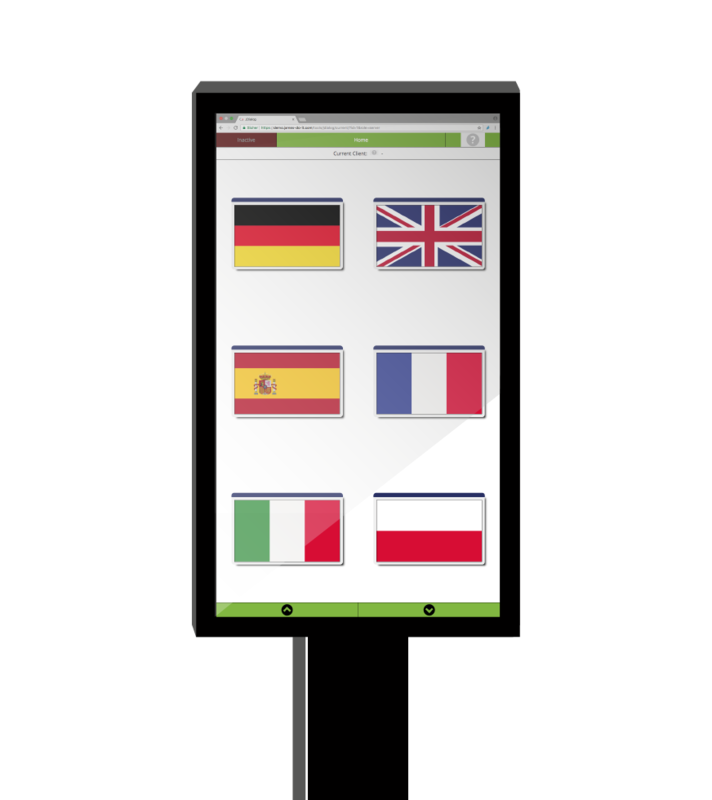 Here you will find all information about our translation software, e.g. the reception process and the logistics industry. Download the brochure for the module JAMESdialog. 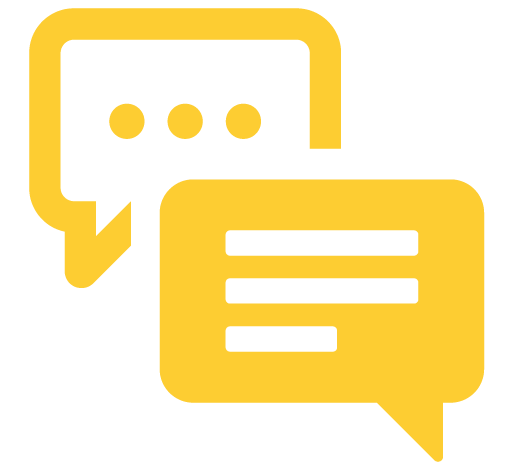 Here you will find all information about our dialogue software developed especially for the logistics industry and multilingual reception situations. Learn more about the JAMES Feedback Terminal in this brochure. Learn more about the technical details and the different types of the JAMES Self Check-in terminal. 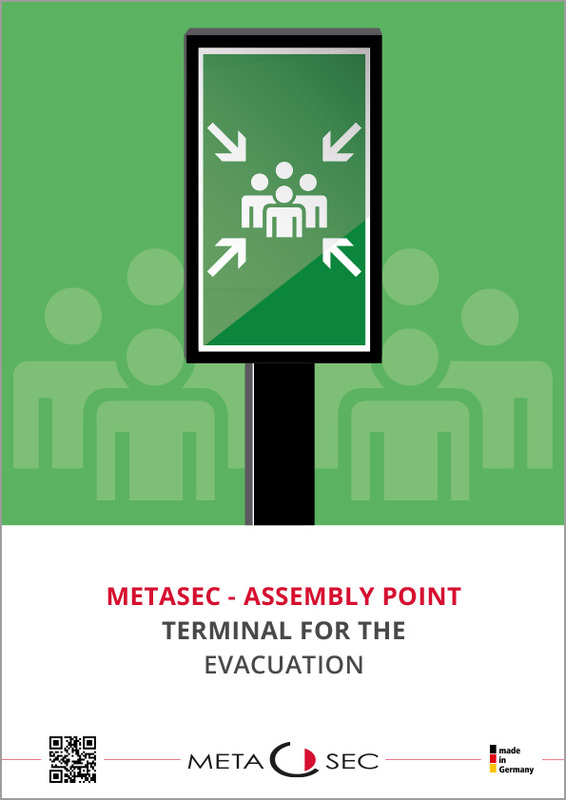 Here you will find information about the assembly point and our software for evacuation. 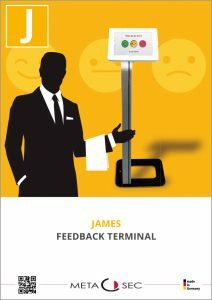 Do you plan to use JAMES in your company or with your customers? With the JAMES checklist you set the course for a successful start! Our software solutions work seamlessly hand in hand! 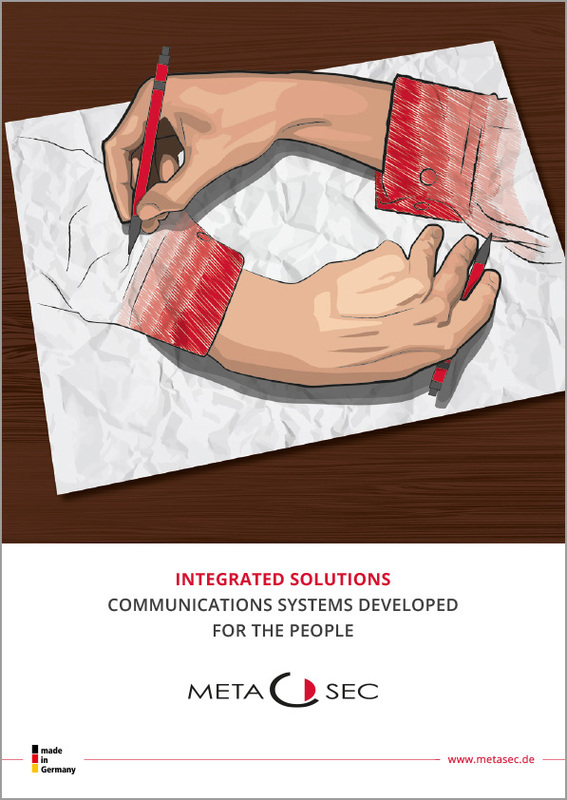 Find out more in this brochure.